In the renaissance of cold emailing, some companies made outbound lead generation the core of their business. We call them lead generation agencies, as they offer the service of generating B2B leads for the sales teams of their client companies. The agencies send numerous emails and follow-ups in behalf of their clients. Managing so many cold email campaigns at the same time can be a real drag. That’s why we’ve implemented a separate set of features dedicated to lead generation agencies in Woodpecker.co. Here’s how you can handle all your clients’ campaigns within Woodpecker’s agency panel. Why outreach in an agency is different? The first major difference is that you don’t send the emails in your own behalf, but in behalf of your clients. That means you usually use your clients’ email addresses or aliases made for those addresses. and why you send them to the chosen groups of prospects. That’s a lot of information to track, especially if you’re running cold email campaigns for several companies at the same time. When you cold email in your own behalf, you just log in to your account within a sending system, and you operate from a single panel. When you cold email in behalf of many clients, usually you have to log in to many totally separate accounts. And that’s where the mess begins. What are the difficulties to overcome? 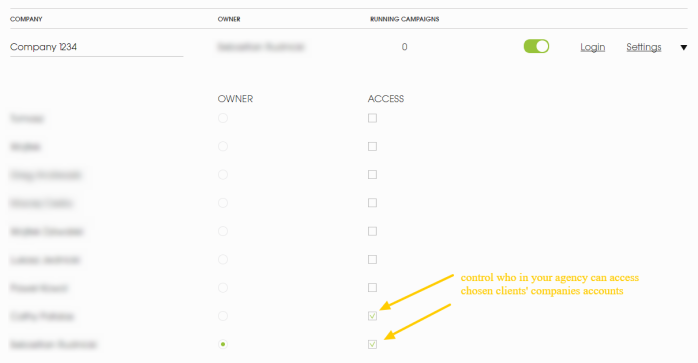 First, you need to log in to a separate account each time you want to check on your clients’ campaigns. That requires from you a lot of clicking and login/password remembering. Second, sending multiple campaigns weekly, you start losing track of what is actually being sent on what days and hours. Each company has their specific target group. Some of the campaigns will be sent in the morning, some in the afternoon. And what about the follow-up sequence – on what days will the follow-ups be sent, considering appropriate intervals between the messages and the delivery time settings? As a result, you get confused and overwhelmed by the chaos of your numerous campaigns’ schedules. You feel like you’re out of control – which is unacceptable in the situation when a client entrusts you with their sender’s identity and company domain reputation. If you have a team of marketers, you need to keep track of who’s responsible for which clients. That’s almost impossible if all your team members operate on separate accounts for each of their companies. As admin, you have to log in to each of the accounts one by one in case you want to check how the campaigns are going. It eats hours of your time, and even then, you aren’t in full control of what’s going on. In Woodpecker’s agency account, you get a list of all your client companies. You can log in to each of the companies’ accounts by clicking ‘Login’ directly on the list. No usernames and passwords to remember. As long as you’re an admin or a user deliberately authorized to access a company profile, you just click once and you’re in. At a single glance, you see who’s responsible for which client and which of the companies are currently ‘active’. You can have many clients. Some of them will want you to keep sending their campaigns constantly. But some will order a campaign, then take a break to take care of the newly acquired leads and customers, and then they will order a new campaign in a month or two. In Woodpecker’s agency panel, you are charged only for emails in the ‘active’ clients’ accounts. That means, if you don’t send emails, or wait for replies, in behalf of a company, you can “switch off” such a client account. What’s important, all the data and the settings that you’ve stored for the company will still be there safe and sound. You can switch between the active and inactive modes with a single click. That means, if your client wants a break from your service, you don’t have to cancel their company account. You can just put in on ‘inactive’ and turn it back to ‘active’, with all the settings saved, when they order another campaign. 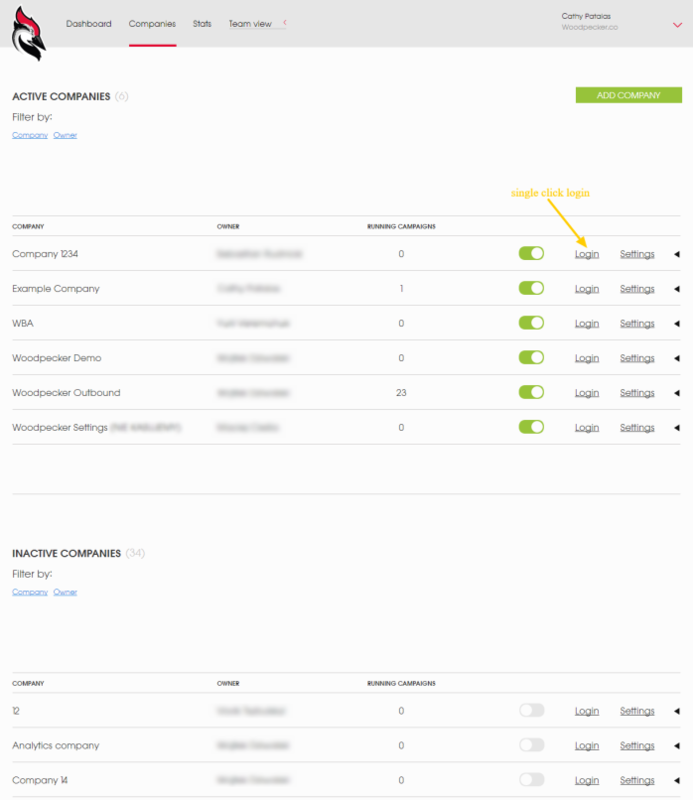 As admin or a company ‘owner’ in Woodpecker‘s agency panel, you can decide which marketers can access chosen companies’ accounts. That means your clients’ classified information is always safe, as no unauthorized users can access it. You decide who from your team becomes an admin and who is a regular user. 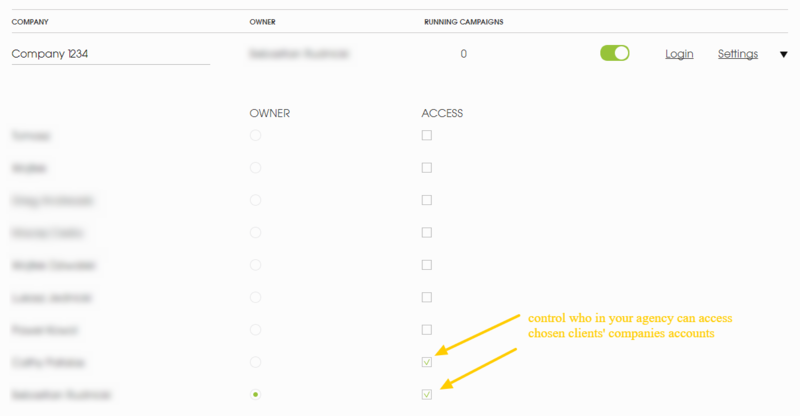 Only admins can give other users access to chosen companies, as well as add new users to your agency team. In the Dashboard of your agency panel, you see a weekly schedule for all campaigns of all clients. This way you can easily control the workflow of your whole team – you know what is going to be sent on what days and at what times. As a B2B lead generation agency, you have options that will allow you to show your clients stats on a dashboard marked with your own label. The activation email can also be sent from your company mailbox instead of Woodpecker. That means none of your clients has to know you’re sending their emails using Woodpecker. 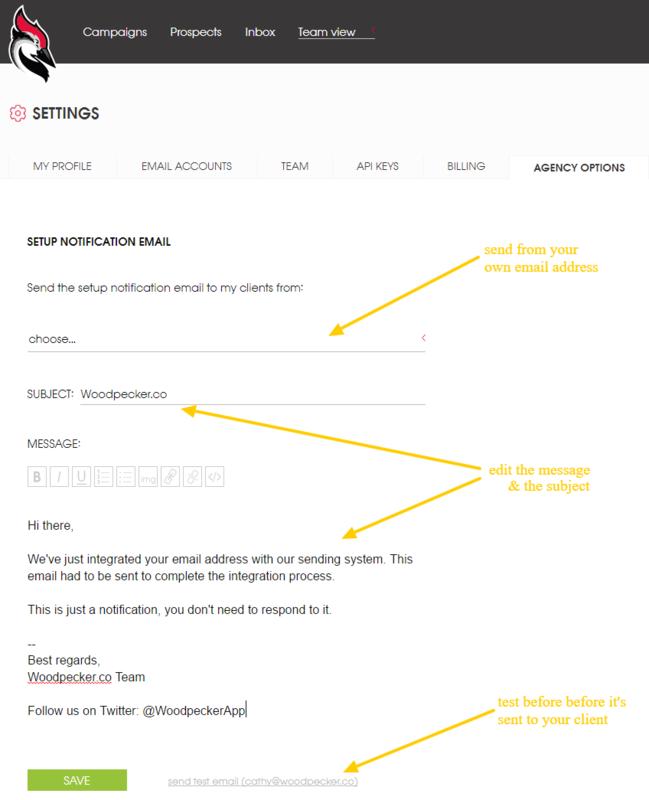 You can easily edit the activation email, which we need to send to your client’s address at the end of email integration process (to verify whether it’s been properly connected or not). Moreover, you can send it from your own agency email address. 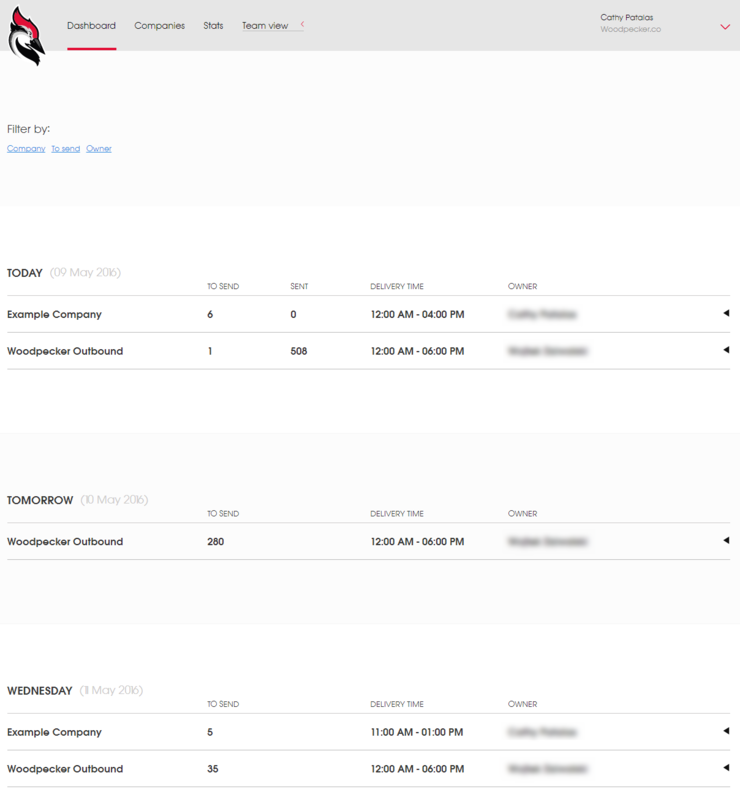 Additionally, if you want your client to see the statistics of their campaigns in your own agency platform, not in Woodpecker, you can use our API to just import the data and display the stats on your own separate dashboard. All your client companies under one roof – separate databases, access from one agency panel. All your team members in one agency account. All your agency users free – pay only for email accounts in client companies. All your clients’ data safe. All your clients’ campaigns under control. All your emails planned in a clear schedule. All your stats on your own dashboard. To test out the agency panel, go to Woodpecker.co and contact us at [email protected]. Enjoyed the article. We have used a similar service (Predictablerevenue. Com and Bant. io) in the past and achieved good ROI – one thing we struggled with was running a nurturing campaign with all the qualified prospects we received (not the hot leads which our reps followed up on immediately). Would your solution help with organising these separate databases and – more importantly – how safe is the data i.e., compliant with GDPR etc?